Description: Boy watching movie or playing games on tablet computer at night. 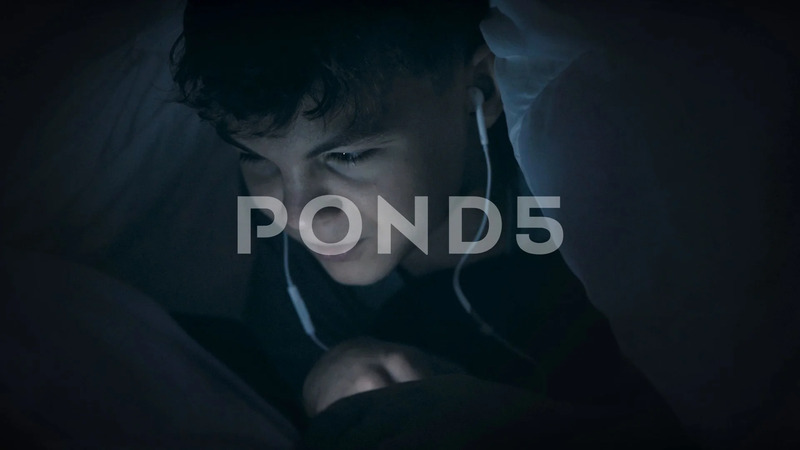 Child with headphones lying down under blanket on bed using smartphone or tablet pc. Boy to make video call to talk to friends.